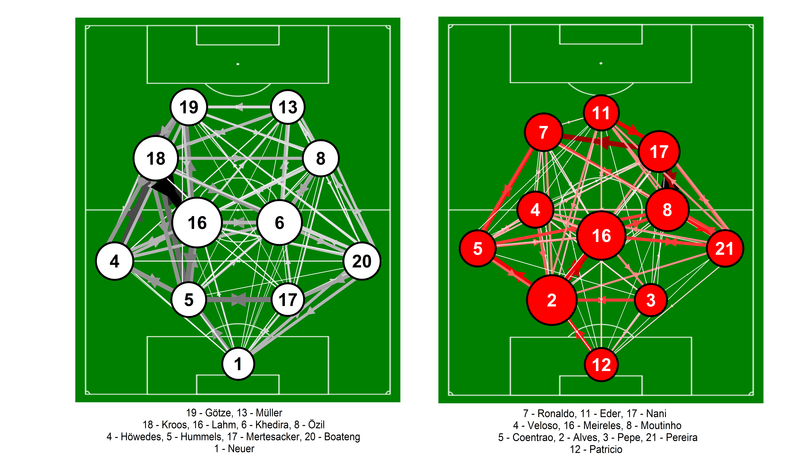 This entry was posted in Network Analysis, Passing, World Cup 2014 and tagged Germany, Network analysis, Passing, Portugal, World Cup 2014 by Will Gurpinar-Morgan. Bookmark the permalink. Out of interest, how do you create the networks? As in which software do you use?